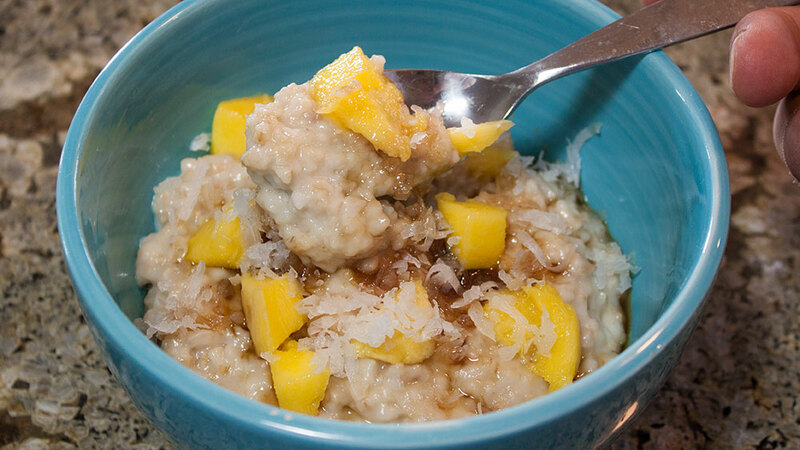 Mix the coconut milk, water and steel cut oats in a slowcooker. You can replace the liquids with something of your choice the ration is about 4 to 1 liquids to oats. Cook overnight for about 7 to 8 hours. In the morning add in the vanilla and mangos and shredded coconut. Add in sweetner to taste.